Ultherapy uses safe, time-tested ultrasound energy to lift and tighten skin naturally – without surgery or downtime. 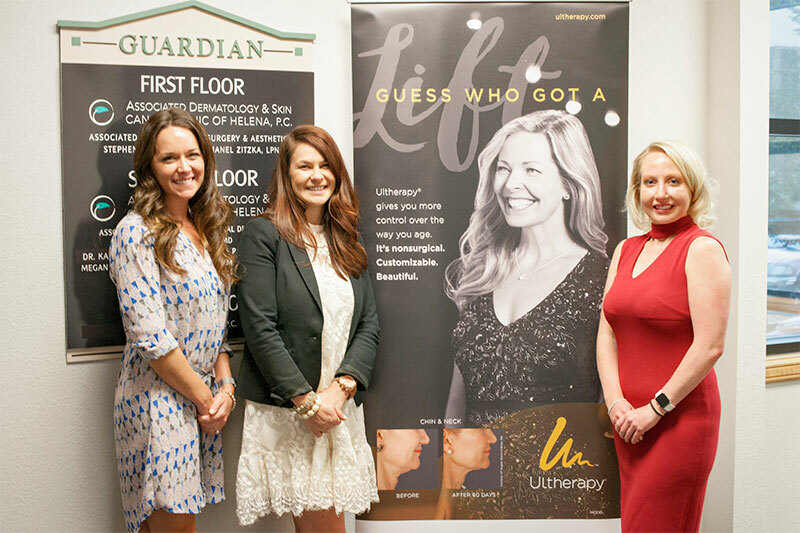 Ultherapy treatment is the only non-invasive procedure FDA-cleared to lift skin on the neck, under the chin and above the eyebrow. Now also the only non-invasive treatment specifically FDA-cleared to improve lines and wrinkles on the décolletage, Ultherapy can help achieve a fresher, more youthful look from your brow to your chest!